Thank you very much, Kate!! Very pleased that you like it, Debra- thank you!! Sincere thanks, Tessa- that's where we stayed, as well...! I'm very grateful for your acknowledgment of my recent sale, Sue, and for your ongoing support and interest in my work!!! Thank you! Sincere thanks, Penny, for commenting on my image and it's recent sale!!! Interesting that you have lived there, Nava Jo! Thank you very much for your comment on my sale & the F&V!!! Congratulations on your sale Will! This is so beautiful! Deb~~I'm very grateful for your comment on my sale!!! 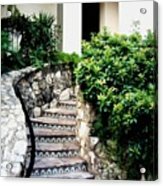 Sincere thanks to the buyer from San Antonio, TX, U.S.A. for purchasing a print of "San Antonio Stairway" on February 18, 2013. Many thanks, Kim, for your comment on my sale!!! I like everything about this one, Will ! Beautiful work ! Congratulations on your sale !! Sincere thanks, Mel, for your fine comment on my image and sale!!! Very much appreciate your comment on my sale, Marcia!!! Ivete~~many thanks for commenting on my sale!!! Really like this, Will. It's so warm and welcoming. I think it would look nice in a foyer. The San Antonio Riverwalk area is truly beautiful and you captured it very nicely with this image. And thanks for your comments on my " Passing Reflections 1 "
A charming stairway leading from the historic Riverwalk to the elegant La Mansion del Rio Hotel in San Antonio, Texas. 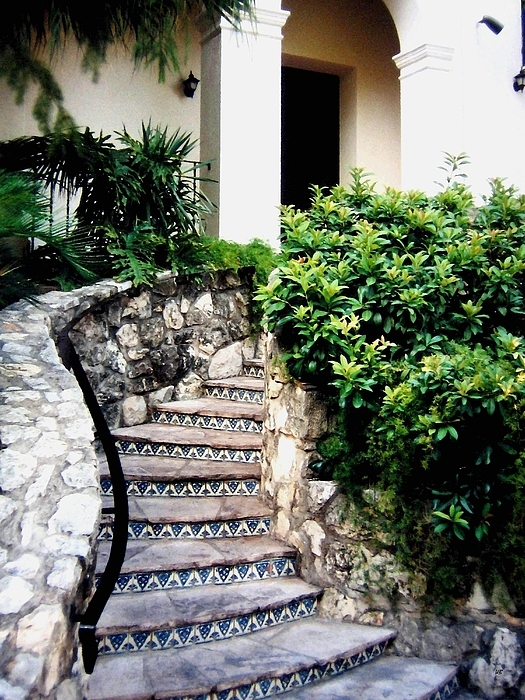 The hotel is in the heart of downtown San Antonio near the Alamo. A digital painting converted from 35 mm film. "San Antonio Stairway"